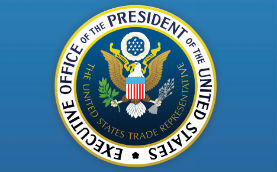 Every year, trade groups representing movie, TV show, music, video game, and a broad range of other content companies make submissions to the Office of the United States Trade Representative (USTR). These documents outline sites, services, platforms and other locations that rightsholders believe should be branded “notorious markets” in the USTR’s annual overview of overseas infringing businesses. The USTR’s final report carries significant weight and often guides the U.S. Government’s attitudes toward foreign governments when it comes to enforcement of intellectual property rights. The latest submission by the MPAA highlights many of the usual suspects, including The Pirate Bay, RARBG, 1337x, Rutracker, and Torrentz2. However, it also includes a lesser-known Poland-based video site that on closer inspection seems a little out of place. “Cda.pl is Poland’s most popular piracy website where users from around the world find and view copyright infringing content,” the MPAA wrote. While these kinds of claims are common in MPAA filings against ‘pirate’ sites, according to the company the MPAA is well off the mark with its ‘notorious market’ branding. As a result, it will now “intervene in the case” using official channels. “CDA.pl is a very large and very popular service, often more popular than other VOD services in Poland. Yes it’s true. We’re big and we’re popular,” the site said in a statement. The site says that in common with similar upload platforms, it takes positive steps to deal with infringing content when it becomes aware of it. In accordance with Polish and EU law, CDA.pl says it utilizes a notice-and-takedown system which removes infringing content without delay. 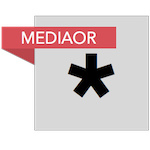 Furthermore, in common with services like YouTube, CDA.pl also provides rightsholders and other interested parties with direct access to tools that allow content to be removed from the platform. “The law does not require us to do this, but it is a solution that significantly increases the effectiveness of combating illegal content. It is also worth remembering that the content in question can only appear on a specific part of CDA.pl, which is created by users (i.e the so-called user-generated content),” it adds. The site points out that other areas of its site are dedicated to hosting content provided by verified submitters, partners and copyright holders, including its CDA Premium service which offers paid access to films supplied under licensing agreements made with distributors. “CDA Premium is one of the most popular services of this type in Poland, and due to licenses, the Company paid PLN 5.4m ($1.45m) to distributors in the first half of this year alone!” the company notes. On the claim that the CDA.pl uses Cloudflare to hide its location, the company appears to be even more irritated by the MPAA’s report to the USTR, noting that they’re either ignorant of the uses for the technology or are simply acting maliciously. To clarify, CDA.pl says it uses Cloudflare for two reasons – to protect against DDoS attacks and to speed up the website for end users – and the service is not used to “hide” from anyone. Complaints can easily be made to the company so knowing where a server is located isn’t helpful, it adds. “The entities whose rights are violated does not need to know the server IP address, he must be able to contact the website administrator for this (all contact details are available on the website). We remind you that you can report problems by e-mail or using the ‘report violation’ button, which is found next to every video on CDA.pl,” the company concludes. It is relatively rare for a company reported as a ‘notorious market’ to fight back publicly so it will be interesting to see how this develops. Whether the USTR will choose to omit CDA.pl from its final report remains to be seen. Thus far, however, the MPAA isn’t well known for making publication retractions.